I entered into an advertising contract yesterday, I needed to print 20 pages, scan in three signatures and send back to the client. I have two USB thumb drives, one has my most important files, and I back it up on the computer and that hard drive. This information is so important I have it in three locations, and sometimes four if I publish to the internet. I started to save the two Megs of contracts onto my USB primary thumb drive, then realized I was about to violate one of my rules. "Do not allow techies to get near my stored information." I will not allow just anybody to touch my data; I know they are not strict enough in their protocols. I saved the data onto an extra empty USB thumb drive and took that to the internet café, the 20 dollars I paid for the chip is my insurance policy that I do not lose hundreds of dollars. "I accidentally erased all my photos." 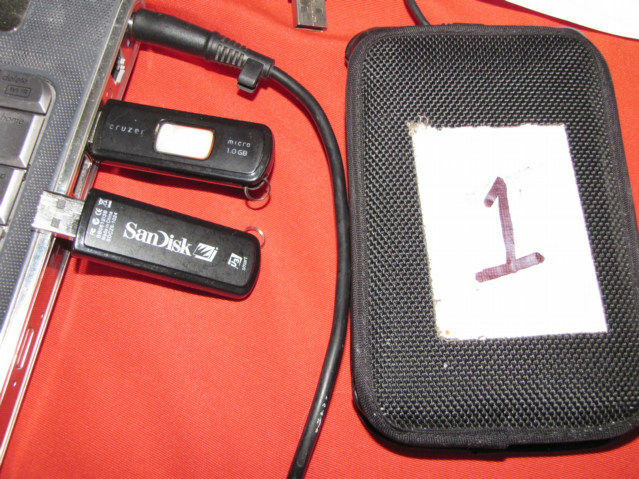 90 percent of the time the person trusted an internet café worker to make a DVD or CD Rom backup of their camera thumb drive, they then deleted the photos without checking. There are protocols that need followed, and you cannot delegate them, the information on my computer is more valuable than my computer.